“Latin America 2030” by The Millennium Project is Discussed by Experts on CNN en Español: Is the Future Good for the Region? 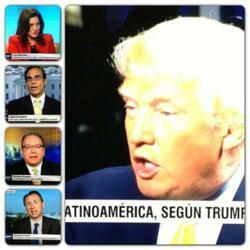 CNN en Español invited several experts to debate about the future of Latin America. 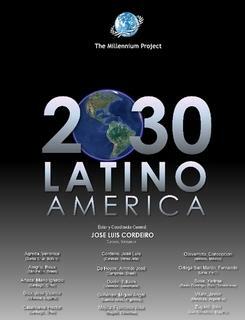 Pulitzer-winner journalist Andres Oppenheimer interviewed Donald Trump and José Luis Cordeiro, who presented the recent report “Latin America 2030” published by The Millennium Project in Spanish. The future is not written anywhere; it depends on our actions today. During his weekly program Oppenheimer Presenta in CNN en Español, several personalities were interviewed about their views on the future of Latin America. Billionaire businessman Donald Trump was first, speaking from New York, about his new investments and real estate in Miami. Oppenheimer asked Trump if he had plans to run again for President of the United States, but Trump carefully avoided giving any clear answer. Oppenheimer then asked José Luis Cordeiro about his own views and the recently published report “Latin America 2030” by The Millennium Project José Luis Cordeiro, Director of the Venezuela Node of The Millennium Project and general coordinator of the study, was very optimistic about the future of the region. Cordeiro mentioned that most of the world is recovering from the previous financial crisis, and that China’s economy is growing at 8%, India’s at 7%, and the average for Africa and Latin America is close to 5%. Those are historically high rates of growth, particularly maintaining them for several years and in a positive global context for most of the emerging world. Andrew Powell, Principal Advisor at the Research Department of the Inter-American Development Bank (IADB), agreed with Cordeiro, and noted that the rates of growth for Latin America could even increase to 6% on average during the following years if better policy measures are implemented in the region. Several studies of the IADB also emphasize the positive perspectives for Latin America, particularly with improved economic policies. Cordeiro also warned that there are possible negative scenarios, as discussed in the report “Latin America 2030”. He explained that the future is not written anywhere, and that it depends on our actions today. Cordeiro emphasized that it is important to consider different future scenarios, both good and bad, and then aim for the best while avoiding the worst. Oppenheimer and Powell seemed to agree on this interesting interview that was broadcast several times during May through CNN en Español.